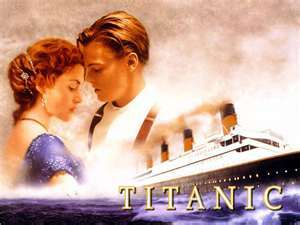 Dr. Angelo O. Subida, Psychotherapist: Have You Seen The Titanic? Have You Seen The Titanic? Sure, and it's frightening when I saw it many years ago. But it's amazing how much perspective is gained from this historical flick. It's a glimpse of what truly matters in life. I learned of a true story of a frightened woman from the sinking Titanic. She was about to be lowered through a lifeboat into the raging North Atlantic ocean. Suddenly, she asked permission to return to her cabin before they cast off. She was granted 3 minutes or they would have to leave without her. She raced and came to her cabin, quickly pushed aside her boxes of diamond rings and expensive bracelets, and grabbed 3 small oranges. Now that looks incredible! It is so because about an hour earlier, she would not have chosen the oranges over even the tiniest diamond. But death had boarded the Titanic. One blast changes all values. Instantaneously, worthless things had become valuable and valuable things had become worthless. The brevity of life gives you that kind of wisdom. Sometimes, the rapid passing of time suddenly hits us in the face. Life rushes upon us. Those who suffer from a terminal disease usually demonstrate a remarkable degree of wisdom in the way they spend their time. Something also happens even to the way they talk! Now, think about your life. If you are waiting to live it up when you're 6 feet under, you're in for a major disaster! The time to really live is now. Find what truly matters.